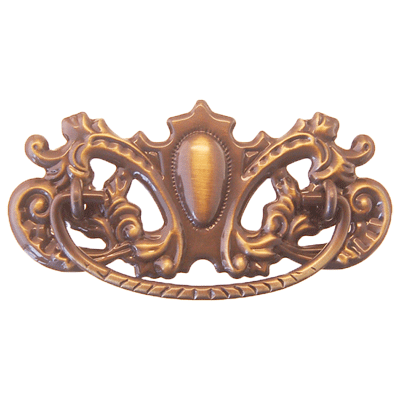 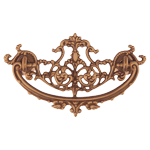 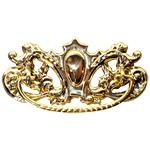 This decorative antiqued drawer pull was used in the late Victorian era. 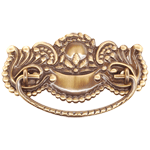 With a stamped backplate and smooth handle this drawer pull offers versatility in use ranging from chests, to dressers or even a fancy office desk. 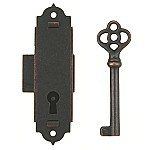 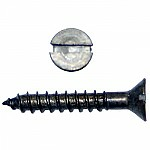 This item is $5.39 when your order exceeds $250 before shipping in qualifying items.